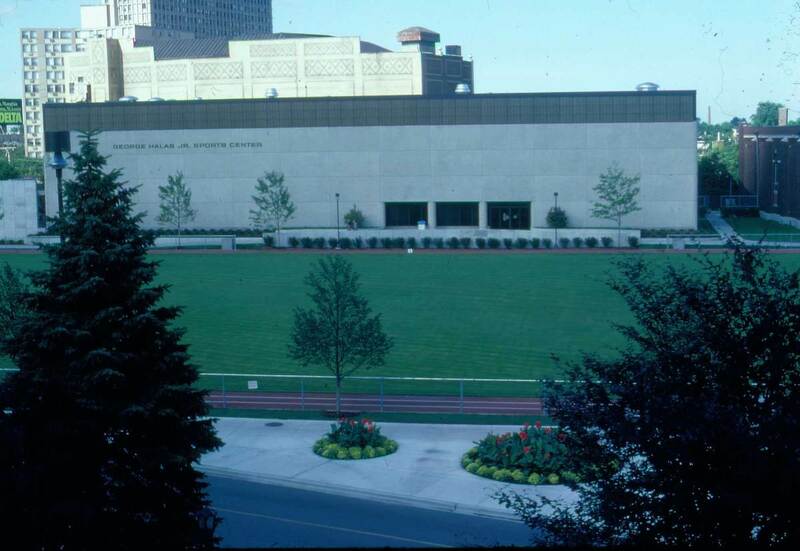 Completed in 1982, the George Halas, Jr. Sports Center was intended to provide Loyola students, faculty and alumni greater access to recreational sports and physical exercise. The Center allows for students to participate in intramural sports or workout without hindering the varsity sports practice and game schedules. Halas Sports Center is named for George Halas, Jr., president of the Chicago Bears from 1963-1979 and Loyola alumnus. 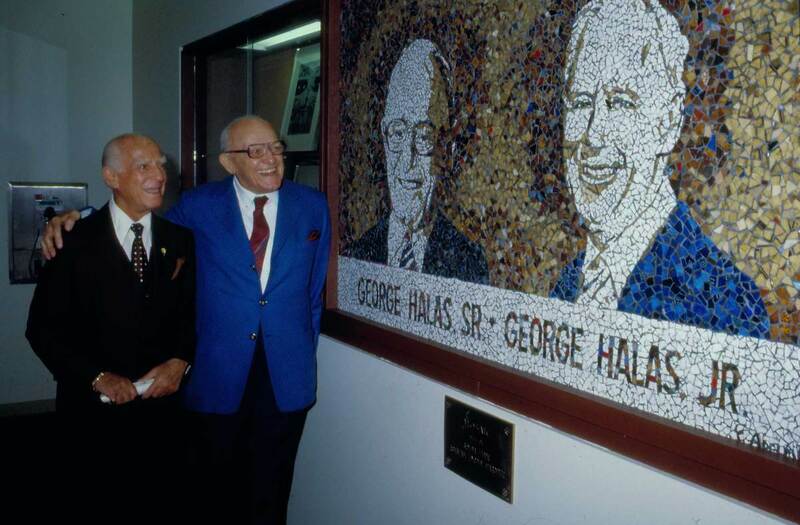 This tile mosaic depicts George Halas and George Halas, Jr.. The mosaic hangs in the lobby of the Halas Center.